Historically, Fujian has been one of the more prosperous and outward-looking provinces of China. 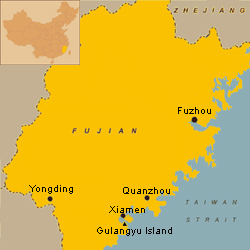 In the 1900s, two of China's five treaty ports - Xiamen and Fuzhou - were in Fujian. After the Second World war, however, Fujian's traditional trade with Japan was reduced and her other main customer, Taiwan, was the enemy. Recently, however, Fujian is recovering. Like other coastal provinces, it is now one of the more modern and prosperous areas of China. It is located on China’s southeastern coast and faces the island province of Taiwan. Its landscape is usually described to be “eight parts mountain, one part water, one part farmland”. 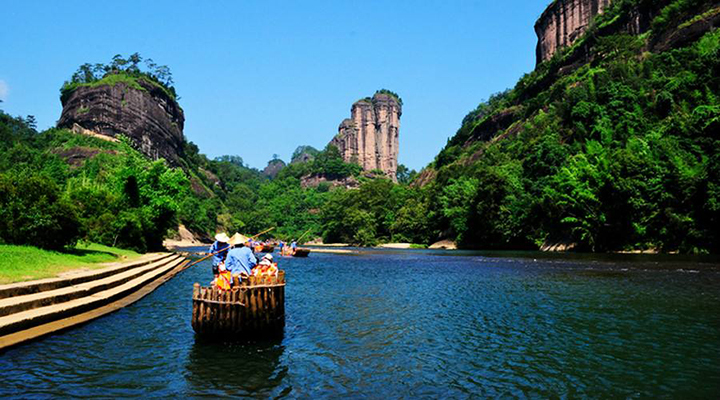 Fujian has exemplary southern China natural scenery and the World Heritage Site of Mount Wuyi is a popular retreat for many locals and foreigners. 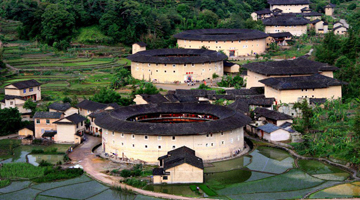 In Fujian’s countryside travelers can also find the unique tulou dwellings of the Hakka people. The houses are circular and earthen and go back to an age when banditry was a way of life. Still today they are inhabited by the aboriginal people.